We explain all of the in's and out's regarding hybrid cars and plug-in hybrid (PHEV) cars. You can find out what and how all types of hybrid cars work and the benefits of owning one. You can also see information about the servicing, tax, congestion charge and government incentives that go with owning a hybrid car. Hybrid cars are vehicles that have two or more power sources, these sources are generally a high voltage electric motor combined with a conventional internal combustion engine. These cars are also known as HEVs. Hybrid cars have become mainstream and they have been available over the last decade. As well as saving money on fuel costs, hybrid cars are popular for reducing fuel consumption and improving CO2 emissions compared to that of other combustion engine vehicle, due to their high miles per gallon MPG. Hybrid cars can come in different formats one of them being a non-plug-in hybrid, whereby the hybrid car will self-generate and charge it's batteries when driving. Or the ultra-fashionable plug-in hybrid car (PHEV) which also regenerates its batteries. However PHEV’s will need to be plugged into the mains to fully replemish their fuel cells and get the best possible range from the battery and the electric motors. Whilst generally the two types of hybrid vehicle work very similar, the big difference is within the plug-in hybrid whereby if travelling short distances you can just use the batteries and electric motors only. This means that you have zero fuel consumption and very little costs for these shorter journeys. The two different types of hybrid vehicles generally save consumers a lot of money from the reduced fuel costs, tax benefit incentives for company car divers, reduced road tax and as previously mentioned a lower CO2 emissions car. Plug-in hybrid cars are generally known as (PHEV’s) as with hybrid cars the plug-in hybrid cars use combustion and electric. These vehicles are classes of hybrid cars and usually use lithium batteries combined with a combustion engine. This allows these vehicles to drive either on pure electric for short distances which can be between 10-50 miles depending on battery size, and also to drive longer distances using the combustion engine. This gives you the option of an electric car without any need for range anxiety. Plug-in hybrid cars are also very popular with the company car drivers, due to their low tax bandings Benefit-In-Kind (BIK) benefits and capital allowance benefits for companies. Furthermore it also benefits a business’s carbon footprint and emphasises that they are environmentally conscious as a business. The majority of PHEV drivers opt to charge their vehicles overnight at home. However with ever growing EV charging networks, there is more and more charging taking place out in public car parks and roads. In addition to this a large number of Solar PV owners use EV as a method of storing and using their excess electricity being produced. Overall PHEV’s have all the benefits of electric cars, and the advantage of the range and convenience of traditional combustion engine cars. 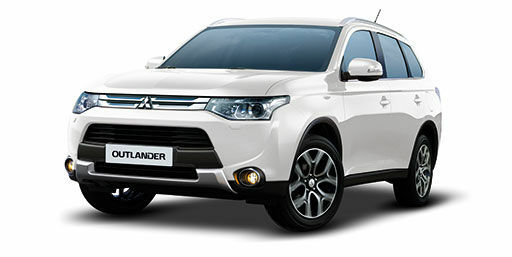 Currently the Mitsubishi Outlander PHEV is Europe’s number one selling EV and PHEV.